Luxury sedans may have lost a step to crossovers, but they are still among the most popular models on showroom floors. 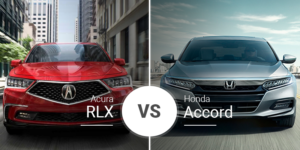 Here at Acura of Rochester serving the Pittsford and Fairport areas, our range-topping RLX sedan has loads to offer, including a Sport Hybrid model with NSX DNA under the skin. How does this large sedan stand up against the smaller, nimbler, and cheaper 2019 Infiniti Q50? Find out below. 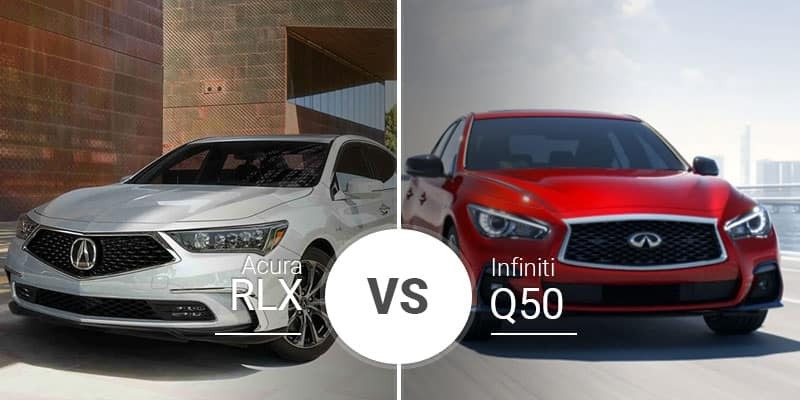 With both models debuting back in 2014, the 2019 Acura RLX and the 2019 Infiniti Q50 are still up to date and stylish. 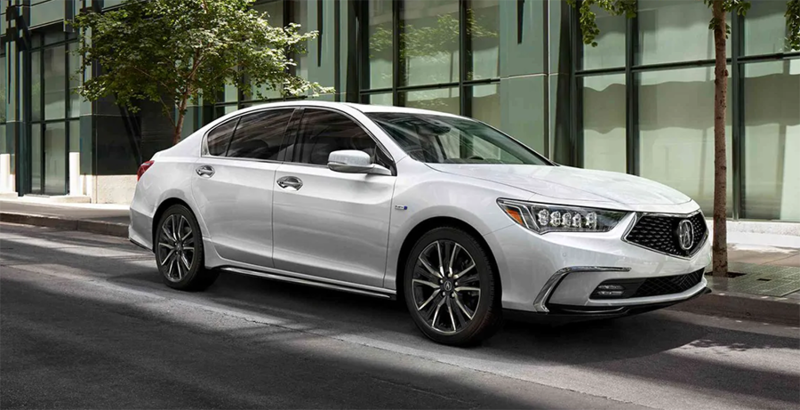 The 2019 Acura RLX features a more executive look with its harder angles and more squared-off body panels. It still looks like a sports sedan, but one you can bring home to meet the parents. The Infiniti Q50, however, has a more aggressive and sporty design with its freer-flowing lines and shaped-by-the-wind design. Moving into the Sport and Red Sport 400 models ups the sportiness with larger wheels, a sport-trimmed cabin, and more. This design shows Infiniti is targeting a younger crowd. In terms of size, the 2019 RLX has a significantly larger body that it 8.5-inches longer, 2.6 inches wider, and 0.5 inches taller than the Q50. Inside, the 2019 Acura RLX continues its more executive ways with a classic luxury interior that boasts clean lines, loads of premium materials, and upscale features. The latter includes standard 12-way power seats, tri-zone climate control, a 14-speaker audio system, SiriusXM, Milano premium leather upholstery, and more. Plus, there are tons of standard safety features, including automatic emergency braking, lane-keep assist, forward collision alert, adaptive cruise, and more. The 2019 Infiniti Q50 boasts a far sportier look with its swoopy dash and large center console that create two separate cocoons for the driver and passenger. The Infiniti Q50 also has a fair share of standard features, but at price that’s over $18,000 cheaper than the RLX, its equipment list is understandably shorter. This list includes a dual-screen infotainment system, a six-speaker audio system, an eight-way power driver’s seat, and more. In terms of roominess, the RLX has significantly more room in virtually every measurable except headroom and front legroom. The game changer is its extra 3.7 inches of rear legroom and the extra 1.7 cubic feet of space in the trunk. 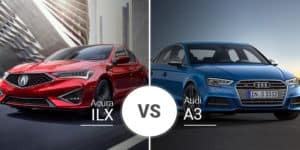 As luxury sedans, there is a level of performance buyers expect from the 2019 Acura RLX and 2019 Infiniti Q50. Both sedans deliver across the board, though they get there in vastly different manners. 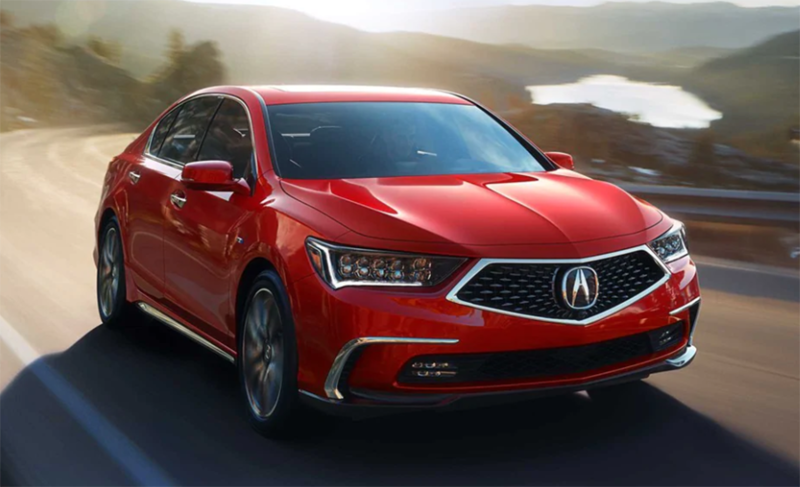 The 2019 Acura RLX relies on raw oomph from its standard 310-horsepower 3.5-liter V-6 engine that hustles it to 60 mph in under six seconds. The RLX sport Hybrid tosses three electric motors into the mix, pushing the total output to 377 horsepower and shipping the RLX to 60 mph in just 4.9 seconds. An added benefit of the Sport Hybrid model is its huge boost in city fuel economy, making it a great option for commuters who deal with a lot of stop-and-go traffic. The 2019 Infiniti Q50 relies on turbocharging to get its power. The base Q50 2.0t uses a 2.0-liter turbocharged four-pot to generate 208 horsepower and sprint this sedan to 60 mph in 6.6 seconds. Up one notch is the 3.0t model with its 3.0-liter twin-turbo V-6 that injects 300 horsepower and launches the Q50 to 60 mph in just five seconds. Topping the range is the Red Sport 400 and its 400-horsepower version of the twin-turbo V-6 that sprints this sedan to 60 mph in just 4.5 seconds. Setting the Q50 apart is its available all-wheel drive across the lineup. Acura buyers can only the RLX Sport Hybrid has all-wheel drive, and it is compulsory in this model. 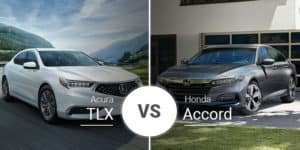 The 2019 Acura RLX has a basic lineup structure that includes a base model and a Sport Hybrid with respective starting prices of $54,900 and $61,900. The Infiniti Q50 lineup includes four trim levels: 2.0t Pure, 3.0t Luxe, 3.0t Sport, and Red Sport 400. These trims’ starting prices range from $35,550 to $51,250. The Acura RLX is an executive’s car, as its roomy rear seat and miles of comfort make it great for hauling around business associates. It is also great for larger families with older kids who need the extra rear-seat room. Who Should Buy the 2019 Infiniti Q50? With its lower base price, the Infiniti Q50 is great for a first-time luxury sedan shopper. 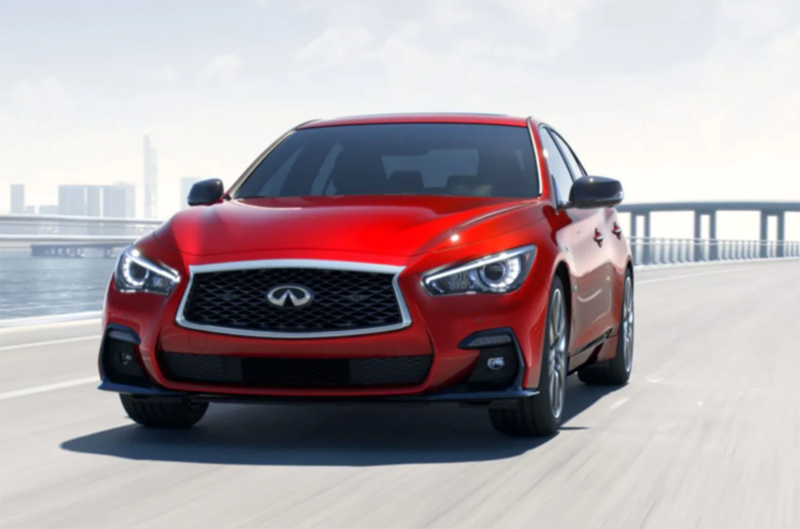 The 2019 Infiniti Q50 also works for a younger buyer who wants a little extra performance from the Red Sport 400 model. Head down to Acura of Rochester today to test drive the 2019 Acura RLX and see how it performs for yourself. Whether you have a daily commute to Pittsford or just cruise to Fairport on the weekends, the RLX and the RLX Sport Hybrid can get you there quickly, efficiently, and in style. Can’t make it to out Rochester area dealership for a test drive today? That’s OK. Swing by our online inventory page to see what RLX models we have in stock and set up a test drive later.